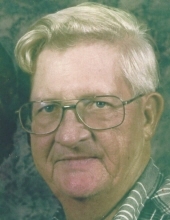 Larry James Wise, 73, husband to Linda June Bristol Wise, passed away Monday, February 4, 2019 in Georgetown, Kentucky. He was born in Findlay, Ohio on September 11, 1945 to the late Ray and Hattie Naomi Fenstermaker Wise. Larry was a mechanic at Eastside Truck and Trailer, and was the owner of Wise Carpenters. In the beginning of his life he was a farmer. He also worked in construction. Larry was a member of Decoy Church. Along with his wife, he is survived by daughter, Rena´ Naomi (Timothy) Roberts, son, Randy James Wise, daughter, Robin Rae (Douglas) Barker, all of Georgetown, Kentucky, grandchildren, Kimberly (Ramon) Wise, Joshua Barker, Amber (David) Jackson, Karen Miller, Shane Hale, Amanda Johnson (Bobby Sturgill), Melissa Roberts, and Joe Roberts, and 18 great grandchildren. Larry is also survived by brothers, Ray Wise of Florida and Gary Wise of Maryland, sisters, JoAnn Carr of Fostoria, Ohio, Barbara Roelle of Fostoria, Ohio, and Patty Blumberg of West Liberty, Illinois. He is preceded in death by daughter, Roxanne June Wise, sisters, Viola Smith and Betty Baltz, grandchild, Timothy Roberts, and great grandchild, Braxton Miller. To send flowers or a remembrance gift to the family of Larry James Wise, please visit our Tribute Store. "Email Address" would like to share the life celebration of Larry James Wise. Click on the "link" to go to share a favorite memory or leave a condolence message for the family.